Lyrical: Open Mic & More, Thursday, 4 April, 6.00-7.30 p.m.
Trowbridge Town Hall Arts, Trowbridge, Wiltshire. Diana Durham is very excited to host visionary novelist Lindsay Clarke, who is not only a brilliant writer but a very lively speaker as well. 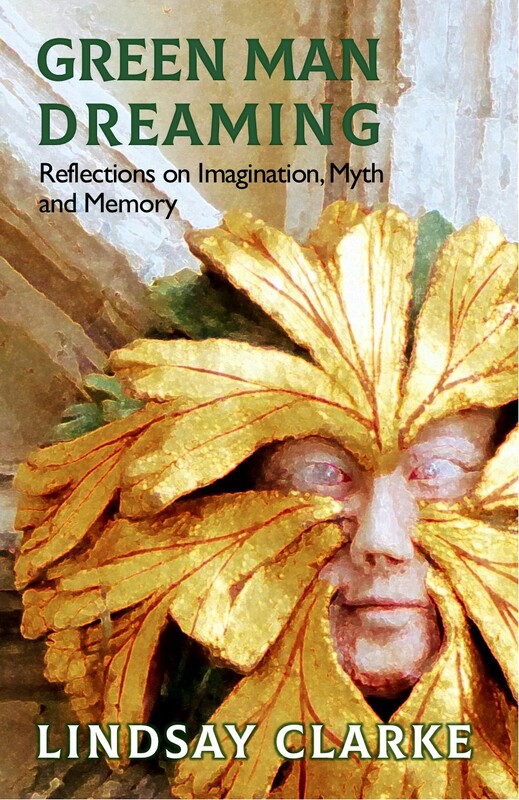 Lindsay will be talking about his new collection of essays, Green Man Dreaming, from Awen Publications. Thursday, 7 March, 6.00-7.30 p.m.
​Diana Durham will be reading poetry by Jay Ramsay and people are welcome to come and read their own favourites by Jay and/or poems of their own. Optional theme for open mic: ‘Vision’. Jay Ramsay was author of Monuments (Waterloo Press), Kingdom of the Edge (Element), and Pilgrimage (Awen), among many more, editor of six anthologies of poetry, including Diamond Cutters (Tayen Lane, co-edited with Andrew Harvey) and Soul of the Earth (Awen), as well as two prose books about alchemy and some classic Chinese translations. Jay passed away on 30 December 2018, and many in the poetry scene are still getting used to the idea that he is no longer with us, so influential was his presence and work. The aim of Lyrical is to blend the open mic + guest poet format with conversation and also expand the slot to include talks, book launches, and workshops. Each evening will have a theme, announced beforehand, which poets are free to explore or ignore. The friends in our life are a true measure of success – the harvest of a life well-lived. We walked alone together up the steep hillside, finding our own desire paths through the boggy heathland, climbing our own mental inclines, the hidden engines of our hearts driving us forward, the mental cable of our thoughts reeling us up the slope – providing the traction of deferred gratification. We had come the wild West Brecons to make mythopoeic pilgrimage to Llyn y Fan Fach, a glacial tarn associated with the Tylwyth Teg, the ‘Good Folk’ of the Brythonic tradition, and with the legend of a lake maiden. On the brow of the hill, catching breath, we caught a first glimpse of the llyn, a cauldron of water held by savagely beetling cliffs, which dropped precipitously to its shimmering fastness. The surface was a digital mirror, pixilating with waves of re-rendering detail. The wind, kinked into tight vortices, catspawed the gelid waters into sudden surges of serration, looking for all the world like a murmuration of otherworldly beings just beneath its reflection of the apparent reality. Here, another was co-existent. It was easy to believe this place to be a portal to Annwn, or the parlour of identical lake maidens, giddy with their doppelgänger dance – lost in their own enchantment, their hall-of-mirror beauty echoed into infinity, and laughing at the maddening effect it had on incautious wanderers who became bedizened by their alluring shimmer. It was hard not to be drawn in, not to succumb to the spell-binding gravitational pull of Llyn y Fan Fach’s gramarye of place. We found a ledge to eat our lunch on – with a reassuring boulder acting as a buffer zone between us and oblivion, hundreds of feet below. At three thousand feet the wind was breath-taking, and it was essential to sit out of its icy slap. Hunkering down, we broke bread, offering some to the tutelary spirit, with a bit of cheese to be on the safe side – though casting it into the void from the precipice was not risk averse. Such was the custom – and it’s wisest to heed local knowledge. We chewed over aspects of the lake maiden story, turning it in our conversation to reveal different cleavage plains. Depending on the version, the apparently fortunate farmer is granted the comely lake maiden as his wife upon stern conditions set by her otherworldly father – that if he should strike three causeless blows, he would lose her forever. This seems temptingly easy to avoid, so he agrees, thinking that he would never strike his beloved new bride. But with folkloric inevitability, like salt to meat, the three causeless blows occur – sometimes ‘provoked’ by the fairy wife behaving in, surprise surprise, a fey-like manner: laughing wildly at a funeral, or crying sorrowfully at a christening. By the time the third ‘blow’ is struck (usually a playful tap on the shoulder), the farmer’s fortunes have reached their zenith. But with the geas broken, the lake maiden withdraws her favours and leads all their fat livestock into the waters of Llyn y Fan Fach. Remarkably, the offspring of their union remain (unlike in equivalent selkie tales), each with a strange gleam in the eye, and the descendants of these become the renowned Physicians of Myddvai, gifted with uncanny powers of healing. The gifts of the Otherworld, it seems, arise mysteriously and can vanish just as unexpectedly. But on a more human level, perhaps the tale tells us never to take for granted the ones we cherish. That love, and its cousins – affection, friendship, companionship – are blessings we should count every day. Perhaps it is a proto-feminist folk tale. The female protagonist, has, for once, agency. She chooses to manifest before the farmer, and she chooses her time and manner of withdrawal. Her graces we can no more grasp and claim as our own than the catspaw upon the waters. An essentialist reading, however, would suggest that men and women are fundamentally different, and we will never fathom each other’s depths. Whatever the truth of the tale – and its facets are many and morphean – the overwhelming mystique of the place remains. If magic still lingers in these lands, then this is one such frost-pocket. And it is in such places that I have found inspiration over the years – fountains of awen that I bathe in through my efforts of making pilgrimage. Innumerable times I have experienced their numinous power, their landscape-medicine, and felt compelled to articulate and honour the genius loci in, most of all, poetry, which I have found captures such little epiphanies more concisely, more holistically, than any other form. A photograph captures two dimensions, a poem, four, if not more. One’s body is the camera, and the experience is ‘recorded’ in an intensely visceral way. This embodied knowledge is poured into the poem, which distils it, one hopes, into memorable wisdom – though only time will tell. To be fully in the moment is all. Often the act of taking a photograph can take us away from the actuality of the encounter; whileas a poem (or drawing) can take us more deeply into the moment. A photo can act as a handy aide-mémoire, but notes – or a sketch – done in situ are far better. They retain the tang of the wild. We traversed the perilous ridge of the Black Mountain and descended quickly as body temperature plummeted – this was not a place to dally, but for a brief while it felt like we had walked amongst the gods, imbibing the rarefied atmosphere of myth. With thanks to Anthony for an epic day, another ramble-sublime!